Locking cash box features spring-loaded money clips and a five-compartment coin tray that automatically lifts when top is opened. Lid opens to 90 degrees. 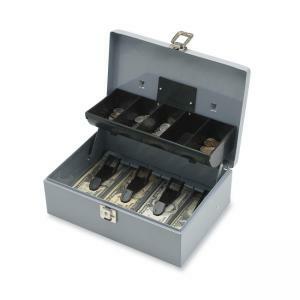 Cash box is made of steel and includes two keys.